Chelsea Green Publishing Company, 9781931498258, 144pp. William Coperthwaite is a teacher, builder, designer, and writer who for many years has explored the possibilities of true simplicity on a homestead on the north coast of Maine. In the spirit of Henry David Thoreau, Emily Dickinson, and Helen and Scott Nearing, Coperthwaite has fashioned a livelihood of integrity and completenessbuying almost nothing, providing for his own needs, and serving as a guide and companion to hundreds of apprentices drawn to his unique way of being. 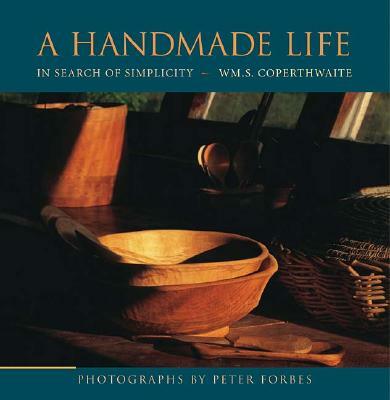 A Handmade Life carries Coperthwaites ongoing experiments with hand tools, hand-grown and gathered food, and handmade shelter, clothing, and furnishings out into the world to challenge and inspire. His writing is both philosophical and practical, exploring themes of beauty, work, education, and design while giving instruction on the hand-crafting of the necessities of life. Richly illustrated with luminous color photographs by Peter Forbes, the book is a moving and inspirational testament to a new practice of old ways of life.